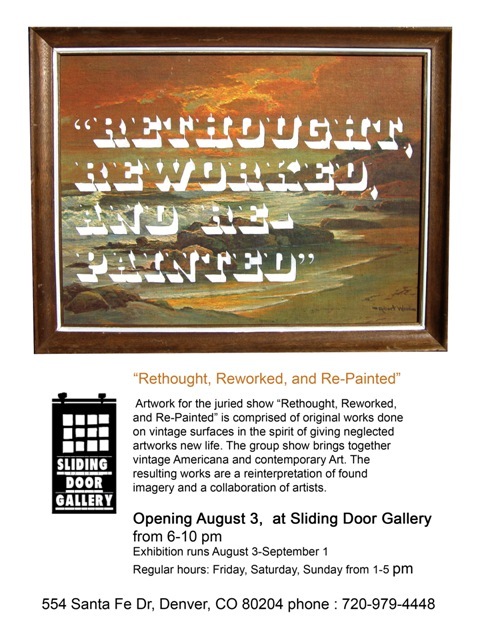 “Rethought, Reworked and Re-Painted” Opens tonight along with Berndt Savig’s “Cowboy Paintings” at Sliding Door Gallery from 6-10 pm. 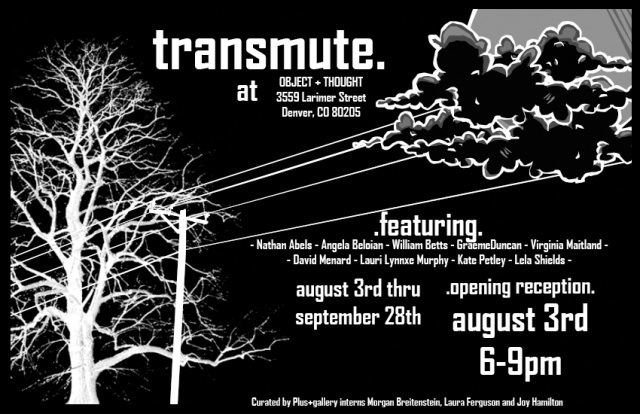 Also, in gallery member news – Nathan Abels will have two pieces in a group show at Object+Thought called “Transmute” opening tonight from 6-9 pm. 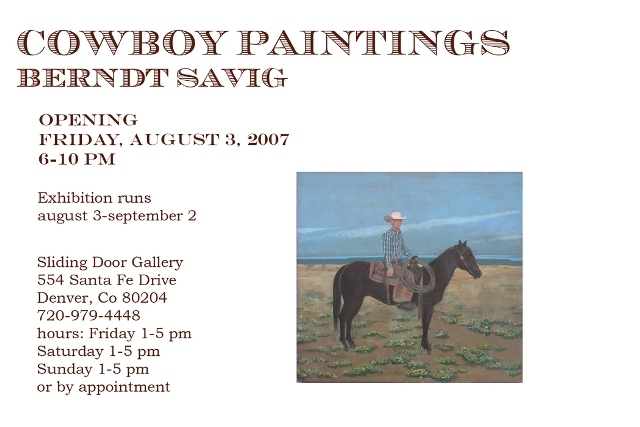 During the months of August – October 4th a selection of Kay Tuttle‘s work on paper is displayed at City O’ City Cafe on 206 E 13th Ave, in Denver, CO.